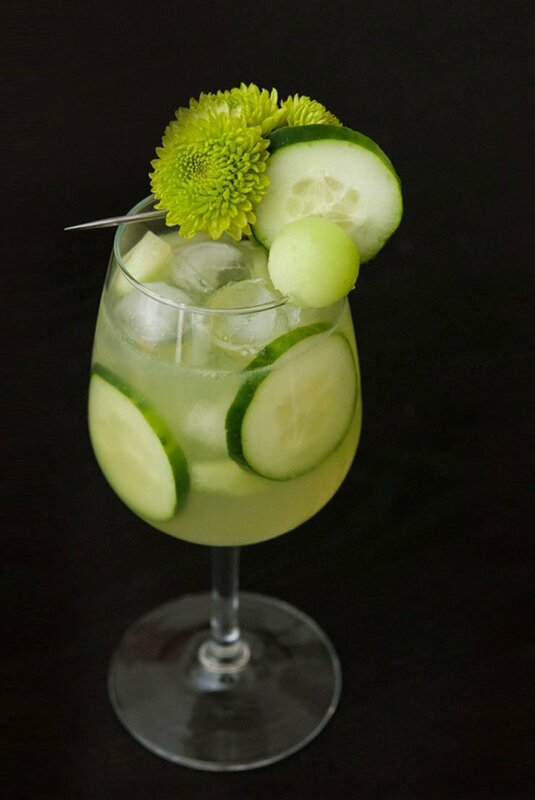 If you love honeydew, the refreshing taste of cucumber and the color green, this white sangria is for you! The color really is spectacular. It looks like a fresh, green Emerald City cocktail! Your imagination really is the limit with Sangria. There are so many different kinds of juices, so many different kinds of floral, fruity, citrusy or, in this case, mellon-y flavors you can design with, instead of simply sticking to red wine and orange juice. 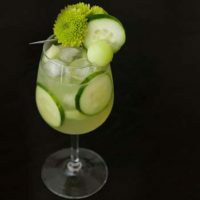 This Honeydew and cucumber sangria is great because you don’t have to let it sit in fruit over night to get the tastiest flavor. 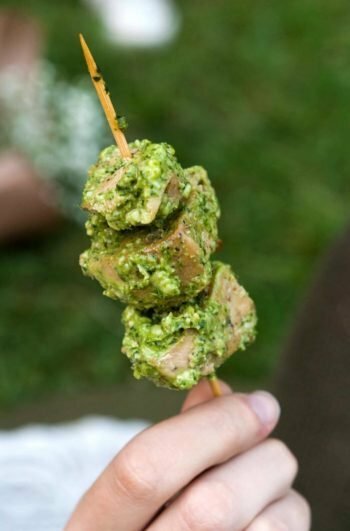 In fact, it’s yummiest if served within an hour of making it. You’ll be so delighted by the color! My photos don’t do it justice. Honeydew juice is such a mellow, romantic green. There’s really nothing like it. You’ll find that you never really have to be so exact with the measurements. Some folks like their sangrias sweeter, some more dry, so do a little taste test before you add your fruit. 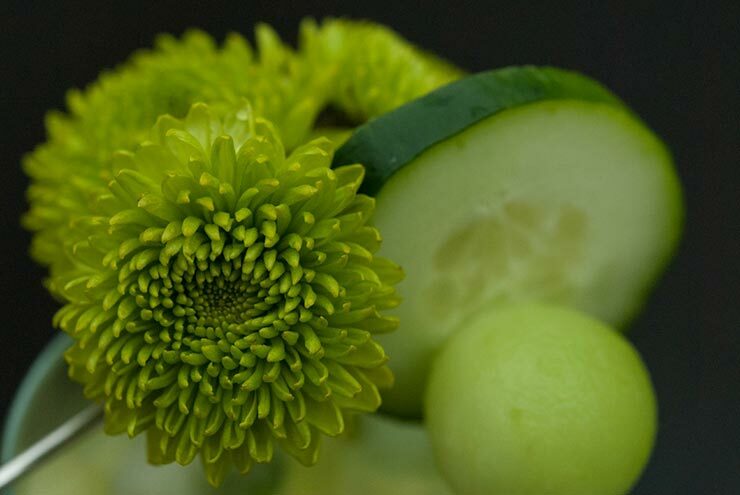 If you love honeydew, the refreshing taste of cucumber and the color green, this sangria is for you! The color really is spectacular. It looks like a fresh, green Emerald City cocktail! Cut a few pieces of cucumber and honeydew away to chop and add to your Sangria later. It's always nice to ball the honeydew if you can. It's just so pretty. Juice the rest of your mellon and cucumber. If you don't have a juicer, but you do have a food processor, just cut up your mellon and cucumber into small pieces and process it until it's mush. Pour it into your mesh strainer and gently press the mush with a spoon over a bowl to catch the juice. You might want to further squeeze the mush in cheese cloth to get the extra juice. Pour juice into your container with white wine, rum and St. Germain. Stir gently. Add cucumber and honeydew fruit to your container and you can serve immediately. No need to let it sit over night. Pour over ice and garnish with a fresh sprig of mint if you want it to be EXTRA refreshing. 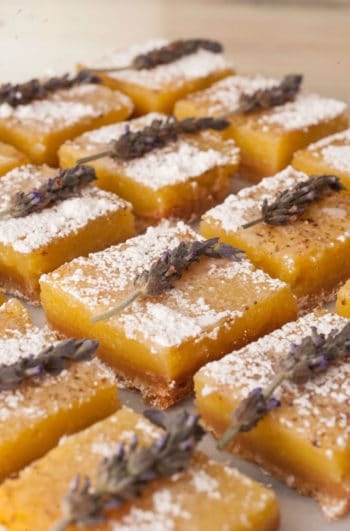 You'll require a juicer (or food processor, mesh strainer & cheesecloth) and a large punch bowl or jug for this recipe.